If you agree with the expression “mother knows best,” you’ll want to go to the Raleigh-Durham Listen to Your Mother show on May 6 or 8. It is being held at 7:30 p.m. in Kenan Auditorium at William Peace University, and the proceeds benefit SafeChild. With 14 incredibly personal stories about motherhood, I guarantee that you’ll be inspired, entertained and so moved that you’ll find yourself thinking about the stories for days or even weeks to come. For me, it was months. 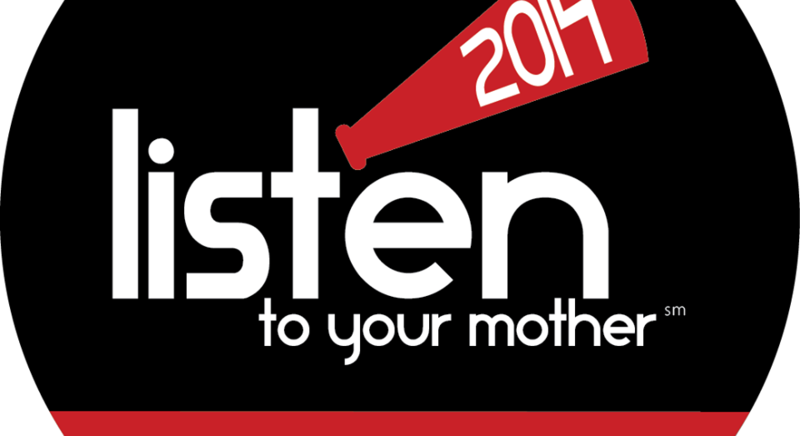 I sat in the audience last year as Listen to Your Mother made its Raleigh-Durham debut. I laughed. I cried. And eight months later, I found myself still thinking about the show. I Googled to find the deadline for submitting an essay — THAT DAY! I sat down at my desk and banged out a story. I hadn’t known for eight months that it was the one I wanted to tell, but when type filled the page, I hit send. I am honored to have made it through the audition and to be part of a cast that consists of amazingly strong women. Walking into a room of strangers to share a personal story for our first read-through was down right intimidating. Then, something magical happened. One by one, standing in Liisa Ogburn‘s living room, each woman let down her guard and put it all out there. Instant admiration! Instant trust! Instant bonding! While we’ve only been together a few times and haven’t even done our performance yet, I’ve learned so much from this group and experience. I think many of these lessons apply not only to life in general, but also to professional development, so I’m sharing them here. Get out of your comfort zone. Do something that scares you. Take a risk. You’ll be glad that you did. Enjoy the journey. Or don’t. This is actually a quote from Lisa Bull’s story. Accentuate the positive! Listen to your mother. And anyone else willing to tell you her story. I love what Katy Schafer said when we were being interviewed by the N&O about how our social media society really only allows for snippets. To sit down and hear an entire story and really have the opportunity to listen to it in these hectic times is a real gift. We’re all okay. Who doesn’t have insecurities? Whether it as at home or work, nobody is perfect. The good news is, we don’t have to be alone with whatever might be bothering us. Reach out and ask for help. Take a deep breathe. Phone a friend. Call your mom! Or take advice from Stephanie Lormand and turn your challenges into strengths. Tell the truth and say what you mean. Let’s face it, telling the truth is hard. You think owning up to a mistake in the office is difficult? Try telling your young daughters where your breasts went, just as Alicia Altmueller had to do after having a mastectomy. An old dog can learn new tricks. I heard a 30-someting CEO call social media crap this week and say that he’d never been on Facebook. If we don’t embrace new technologies as professionals, we’ll be left behind. And miss out on some fun! If Rebecca Lanning‘s mom can become a techie, so can you. To get what you want, you might have to get up at 4:50 a.m. Yes, that’s early. A friend once posted on Facebook, “What are you willing to do to succeed?” My favorite response was, “The better question is what am I not willing to do!” If you need motivation to reach your goals, you need to hear Betsy Martin’s story. There are many things we can’t control. Gosh, this is hard to accept. Beware of a snake in the grass…or under the sofa as Agnes Stevens will tell you. What do you do when life throws you a surprise? You deal with it. You have a problem, you figure it out or at least grab a fire poker and give it a good jab. Life is short, so don’t take it for granted. What would you do with your kids today if you were terminally ill? How will you spend your last moments with your mother? When will you get around to showing more appreciation, complaining less and enjoying each moment more. How about now? Please come see the show to hear more about these and other beautiful stories. I might not be your mother, but this mama says to buy your tickets and go! In the meantime, what’s the best advice your mother ever gave you? Please leave your answer in the comments section.